Do virtual reality devices such as the Oculus Rift produce the illusion of an external reality? Or do they produce non-illusory experiences of a virtual reality? I address this question by starting with an analogous question about mirrors. When one looks in a mirror, does one undergo the illusion that there is someone on the other side of the mirror, or does one have a non-illusory experience of someone on this side of the mirror? I will argue that at least for familiar users of mirrors, there is no illusion. Knowledge of mirrors provides a sort of cognitive orientation (a variety of cognitive penetration) that affects the content of visual experience and renders it non-illusory. I will suggest that familiar users of virtual reality devices have a similar sort of cognitive orientation that renders their experience non-illusory. 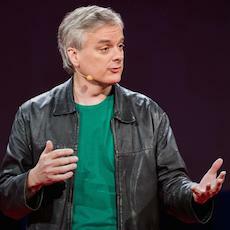 David Chalmers is a Distinguished Professor of Philosophy and Director of the Centre for Consciousness at Australian National University, and Professor of Philosophy and Co-Director of the Center for Mind, Brain, and Consciousness at New York University. He works in the philosophy of mind and in related areas of philosophy and cognitive science. He is especially interested in consciousness, in addition to all sorts of other issues in the philosophy of mind and language, metaphysics and epistemology, and the foundations of cognitive science. Read more about David Chalmers. This event is co-sponsored with the Department of Philosophy.